This cache celebrates Saxham & Risby railway station which served the villages of Risby and Little Saxham in Suffolk. It was opened by the Great Eastern Railway on 1 April 1854 as Saxham Station following the line's extension from Newmarket to Bury St Edmunds. It was not particularly near either of the villages it served, with Risby being about a mile to the north and Saxham a couple of miles to the south. Its main purpose was to serve agriculture in the mid Suffolk area. It closed to goods on 28 December 1964 and to passengers on 2 January 1967. At its peak during the period 1860 to 1890 there was a station master and three other members of staff. From 1929 onwards the four station staff were replaced by a 'Porter-in-charge' until its closure in 1967. Saxham and Risby was one of four stations on the line between Ipswich and Cambridge which closed in 1967 following modernisation due to dwindling passenger numbers – the others were Higham, Fulbourne and Six Mile Bottom. 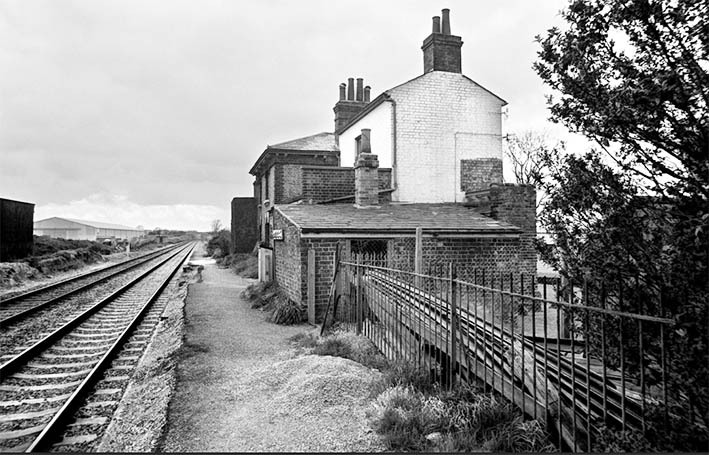 After closure, the south platform and waiting room were removed in 1970, whilst the north platform and the main station building remained derelict until they were demolished in the late 1980's. Today only a small part of the north platform remains, and a railway terrace house still stands along Station Avenue and has been converted to a private residence, but most of the surrounding area has been transformed into an agricultural industrial estate. 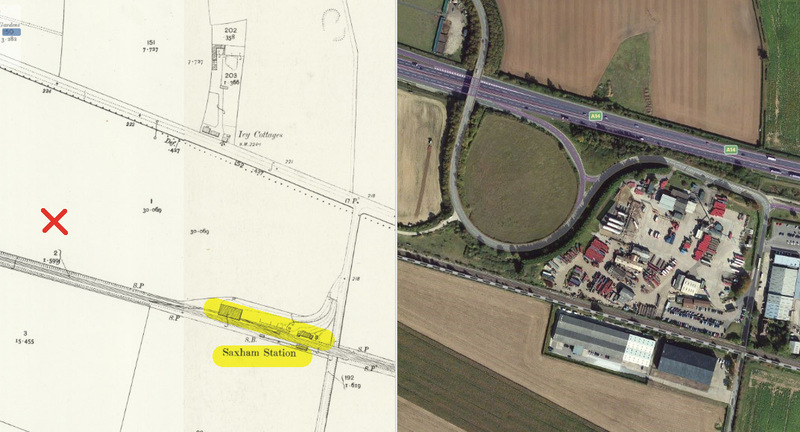 The map below shows the original position of the station in relation to the cache (X) and what is there now is shown in a comparative aerial view.